It was a dark and rainy day, and the last thing I felt like doing at 5:30 pm was getting out of my sweats and into real clothes to go to an interior design industry event 30 minutes away. But I pulled myself together because I am a glutton when it comes to the topic of brand marketing. There is always insight to be gleaned. 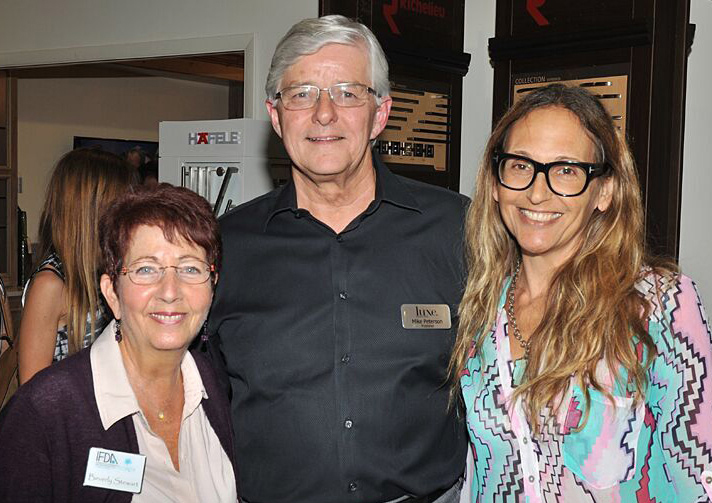 Mike Peterson of Luxe Magazine, flanked by moi and Beverly Stewart, IFDA South Florida's VP of Events. Photo: John Stillman Photography/courtesy LUXE. The workshop, organized by IFDA, was led by Michael Peterson, Regional Publisher of Florida’s and Colorado’s LUXE Magazines. With a personable blend of expertise and humor, deploying examples of product and brand advertising plus a smattering of inspiring quotes, Mike's presentation refreshed our branding knowledge and dared us all to be BIG, BOLD, and DIFFERENT. 1.WHO ARE YOU and WHAT DO YOU STAND FOR? The very foundation of brand marketing is about the intangibles...the emotion. Differentiation is not about the physical characteristics. A brand rests in the mind and hearts, can be imitated but not copied. Create a vision statement that's aspirational, ambitious and an expression of optimism. A description of what your organization wants to achieve and accomplish in the future. It is intended to serve as a clear guide for choosing a current + future course of action. Exercise: How to go from being a car to a Mercedes. 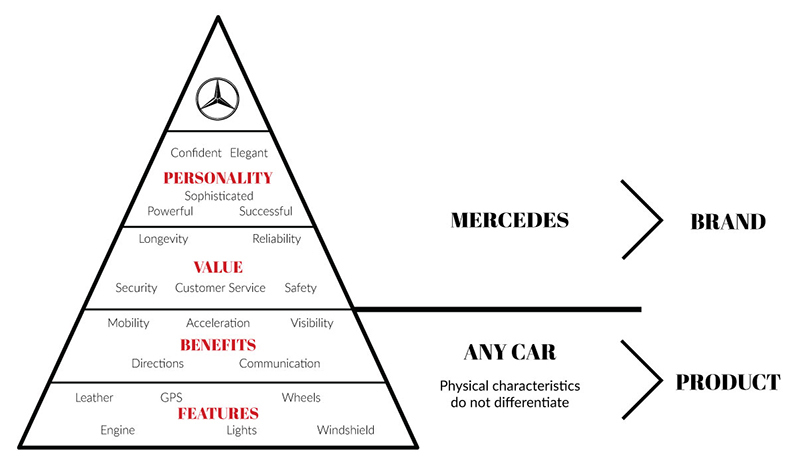 We dissected a Mercedes car, breaking it down into product features and brand attributes. It was very insightful to notice where differentiation occurs and when a car transforms into a Mercedes. You can do this exercise with your own brand. 2 quotes: If these motivate you, write them down in your line of daily vision.